MONROE – Seven Monroe Correctional Complex (MCC) inmates won ribbons at the 2016 Evergreen State Fair in the open class division of the crafts and hobbies competition. 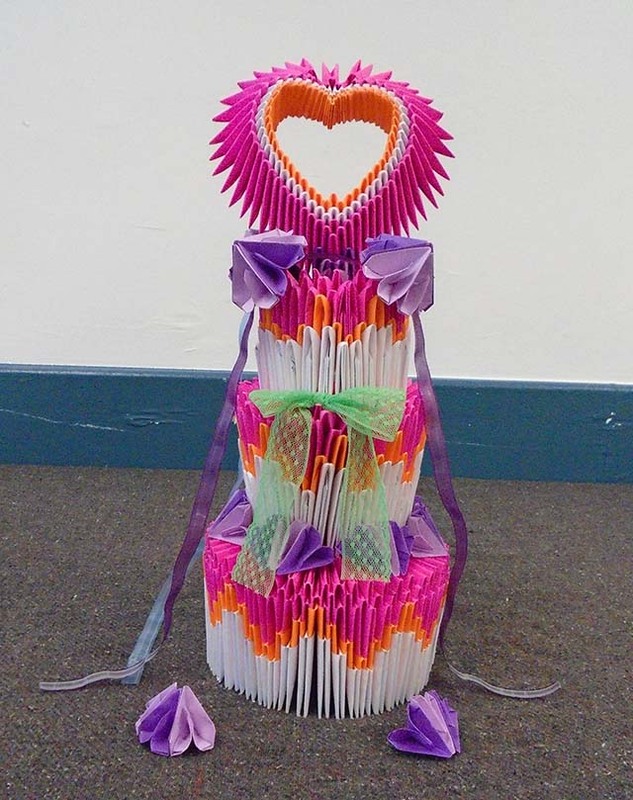 Inmates at the prison entered various origami and beaded art into the competition. Several of the entries were comprised of thousands of pieces and one entry took about 100 hours to assemble. The inmates are all part of the Crossroads transitional mental health program. The program is run in a 90-bed unit at the prison’s Minimum Security Unit. Participants in the program have been diagnosed with moderate mental disorders. The program is designed to create an opportunity for inmates to be successful and receive treatment while in a minimum security work camp setting. It helps inmates improve their pro-social skills prior to their release from prison. Participants engage with group activities including peer awareness meetings, mental health groups, and developing education and job-related skills. They also learn how to set goals, manage stress, and effectively interact with others. 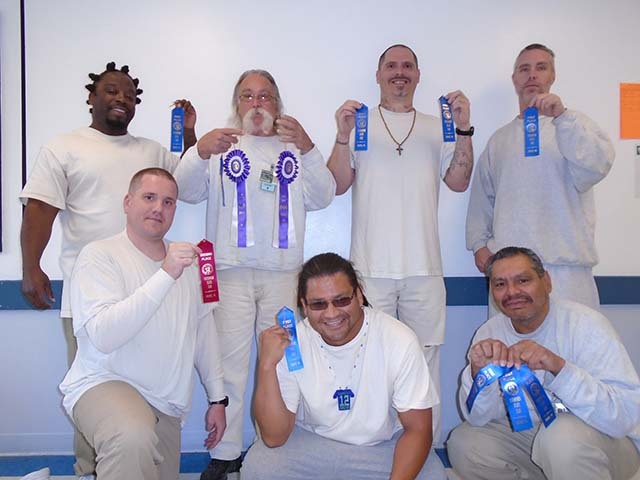 The competing inmates won a total of 12 ribbons from the competition, including nine blue ribbons, a red ribbon and two “best in class” ribbons. The participants said creating art not only helps them cope with stress and potential feelings of isolation that can come with living in a prison, but gives them a sense of accomplishment. 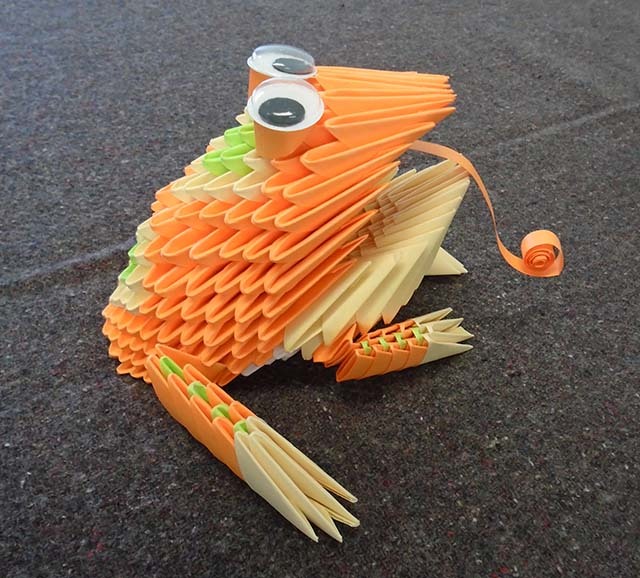 Efrain Medina, 50, entered an origami fish, chick and goose fabricated out of 1,150 paper pieces. He’s currently serving a 45-month sentence and was surprised when he found out he won three ribbons. “It makes me feel really good to be recognized for the good things I am doing and not just the bad that I have done,” Medina said. 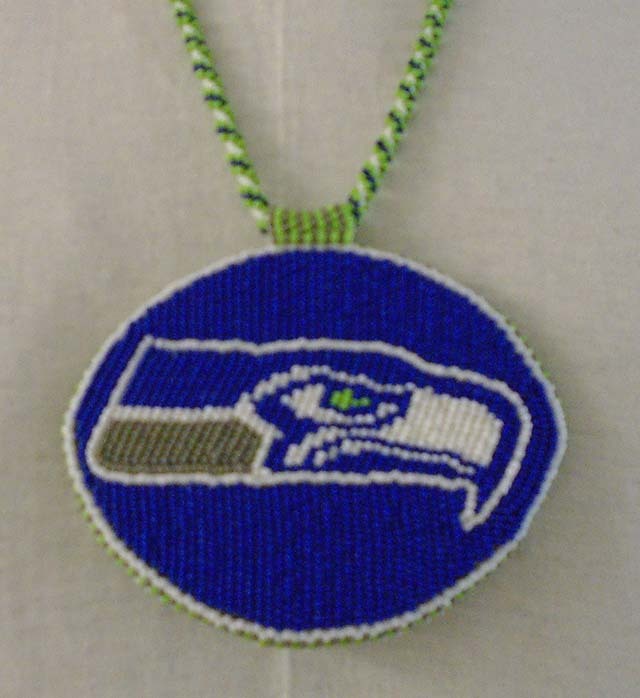 Jeremy Sanchez, 34, won a first place ribbon for his beaded jersey and necklace. His mother taught him how to bead when he was a boy and says beading helps connect him with his tribal ancestors. Meaningful work promotes facility safety by providing individuals opportunities for self-improvement, promoting the adoption of a strong work ethic, and reducing inmate idleness. The Department of Corrections, (DOC) is committed to reducing recidivism through a corrections system that reflects these values of the community (RCW.72.09.010).